Active Release Techniques (ART) are a soft tissue method that focuses on relieving tissue tension via the removal of fibrosis/adhesions which can develop in tissues as a result of overload due to repetitive use. These disorders may lead to muscular weakness, numbness, aching, tingling and burning sensations. ART has been reported to be both a diagnostic and a treatment technique, however, there is little scientific evidence regarding the effects of ART on various pathologies, with most of the available evidence being anecdotal and based on case reports. 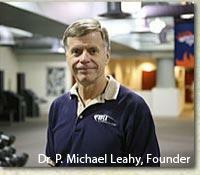 ART was developed and patented by Dr. P. Michael Leahy, DC, CCSP, a Doctor of Chiropractic medicine. Dr. Leahy noticed that the symptoms of patients were related to changes in their soft tissues so he developed this technique which revolved completely around the patient's symptoms. He documented his first work in 1985 under the title of Myofascial Release, but later patented it under the name Active Release Techniques. to re-establish optimal texture, resilience and function of soft tissues. Tissues are prone to negative changes from trauma, such as swelling, fibrosis and adhesions. During treatment, the clinician uses manual therapy to apply compressive, tensile and shear forces to address repetitive strain injuries, cumulative trauma injuries and constant pressure tension lesions. The clinician applies deep tension at the area of tenderness whilst the patient is instructed to actively move the injury site from a shortened to a lengthened position. The placing of a contact point near the lesion and causing the patient to move in a manner that produces a longitudinal sliding motion of soft tissues, e.g, nerves, ligaments and muscles beneath the contact point. A few pilot studies reported the effects of ART on different pathologies. These studies do not have a control group however and the group numbers were small. The pilot study evaluated the effectiveness of ART to relieve short term pain in the management of adductor muscle strains amongst ice hockey players. Pre and post measurements were significant improved, demonstarting that ART was effective in increasing the pain pressure threshold in adductor muscle pain sensitivity, although the study was only short term. The 20 subjects were significantly more flexible after ART treatment, but the small group sample only included young, healthy males which limits its validity to the general population. It was also only a short term study. This study assessed the effectiveness of ART on the median nerve of 5 subjects who were diagnosed with carpal tunnel syndrome. Both symptom severity and functional status improved after two weeks of treatment intervention. This is a small clinical pilot study which may suggest that ART is an effective management strategy for patients with the carpal tunnel syndrome. ART did not reduce inhibition or increase strength in the quadriceps muscles of the 9 athletes with anterior knee pain. Further research is required. A patient with trigger thumb appeared to be relieved of his pain and disability after a treatment programme of Graston Technique and ART. 8 treatments were given over a 4 week period. Range of motion increased with a concomitant decrease in pain by the end of the treatment period. An athlete with chronic, external coxa saltans became asymptomatic following treatment with ART. The patient reported a pain reduction of 50% after the initial session. After the 4th treatment the pain had resolved, although the non-painful snapping sensation was still present. Upon treatment completion, the snapping sensation had also resolved. A 51 year old male was treated for epicondylosis lateralis with 6 treatments over a two week period with ART, rehabilitation and therapeutic modalities. At the end of the treatment period there was complete resolution of his symptoms. An adolescent soccer player presented with tibilais posterior tendinopathy. He was relieved from his pain after 4 treatments over 4 weeks of soft tissue therapy and rehabilitative exercises focusing on the lower limb, specifically the posterior tibialis muscle. He had chronic medial foot pain after striking an opponent’s leg whilst kicking the ball. Once the restrictive adhesions between tissues has been released, post treatment exercises become an essential part of the rehabilitation process to ensure the symptoms do not return. Flexibility: Good flexibility enables muscles and joints to move through their full range of motion. Poor flexibility leads to a higher chance of injury to muscles, tendons, and ligaments. Flexibility is joint specific; a person may have excellent range of motion at one joint, yet be restricted in another. Stretching exercises are only effective if they are executed after the adhesions within the soft tissue have been released. Stretching exercises that are applied prior to the adhesions being released will only stretch the tissues above and below the restrictions. The actual restricted and adhered tissues are seldom stretched, leading to further biomechanical imbalances. Strength: Strengthening exercises are most effective after treatment. Attempts to strengthen shortened and contracted muscles may result in further contraction and restriction. This causes the formation of more adhesions and restrictions within the tissues, exacerbating the repetitive injury cycle. This is why the application of generic or non-specific strengthening exercises for RSI seldom works. Balance and proprioception: Proprioception describes the body's ability to react appropriately (through balance and touch) to external forces. Proprioception exercises should begin early in the rehabilitation process. Effective proprioception exercises are designed to restore the kinesthetic awareness of the patient. These exercises form the basis for the agility, strength, and endurance required for complete rehabilitation. Cardiovascular: Cardiovascular or aerobic exercises are essential for restoring good circulation and for increasing oxygen delivery to soft tissues. Lack of oxygen and poor circulation is a primary accelerant of repetitive strain injuries. Evaluates gait, motion, and posture. Identifies the biomechanical dysfunctions that are restricting the performance. Locates the soft tissue structures that are the primary cause of the biomechanical dysfunction as well as affected structures throughout the kinetic chain. Treats the soft tissue dysfunctions with ART to restore full function to the affected structures. ART Performance Care is applied after trauma based injuries have resolved. ART Performance Care concentrates upon removing restrictions that inhibit full range of motion, and in restoring full function and performance to affected soft tissues. This process can result in significant increases in sports performance of power, strength, and flexibility. ↑ Leahy PM, Patterson T, inventors; Active Release Techniques, Llc, assignee. Expert system soft tissue active motion technique for release of adhesions and associated apparatus for facilitating specific treatment modalities. United States patent US 6,283,916. 2001 Sep 4. ↑ 11.0 11.1 Dr.Brain Abelson,Kamali Abelson. Release Your Pain.2nd Edition.Printed in 2008. Printed in USA.